2019 General Assembly of the Christian Church (Disciples of Christ) REGISTRATION NOW OPEN! There are two easy ways to receive our weekly news delivered to your inbox. 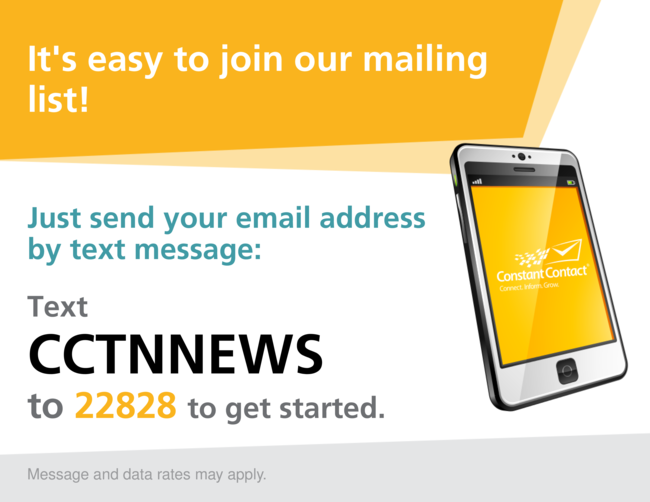 Fill out the online form “WEEKLY ENEWS SIGN UP” or submit via text! Instructions below. Click here for a sample newsletter! We were just named a Constant Contact All Star for 2018. Thanks to our subscribers for reading and responding to our emails!